Jordan's experience on and off the golf course have shaped his views on service and giving. The Jordan Spieth Family Foundation offers a platform for Jordan to lend time, help grow awareness and offer financial support for three philanthropic areas: children with special needs, junior golf and military support. 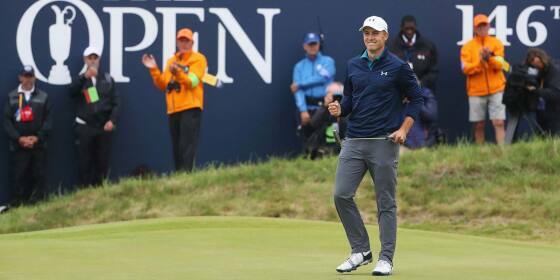 Spieth played the final five holes in 5 under and closed with a 1-under 69 for a three-shot victory over Matt Kuchar, giving him the third leg of the career Grand Slam and a chance to be the youngest to win them all next month at the PGA Championship. Spieth joined Jack Nicklaus as the only players to win three different majors at age 23, and even the Golden Bear was impressed. "Is Jordan Spieth something else?" Nicklaus tweeted during the wild back nine. 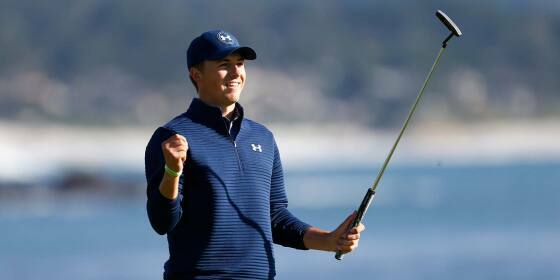 Jordan Spieth kept it simple Sunday and won the AT&T Pebble Beach Pro-Am for the ninth PGA TOUR title of his young career. Jordan started with a six-shot lead and no one got closer than three all day. He putted for birdie on all but one hole and closed with a 2-under 70 for a four-shot victory over former U.S. Amateur champion Kelly Kraft, who shot 67. The world No.5 drained a pressure putt on his 72nd hole of the tournament to squeeze into a three-way play-off with Australians Ashley Hall and Cameron Smith, then duly banked an uphill 15-footer for birdie to win a gripping tournament after the trio had trudged back up the 18th. With an impressive back nine at Colonial, Spieth won at home in Texas for the first time on the PGA Tour. He had three consecutive birdies after making the turn, and three more in a row to finish his 5-under 65 on Sunday. "This day is a moment that'll go down, no matter what happens in the next 30 years of my career, this will be one of the most important days that I've ever had," Jordan said after the win. 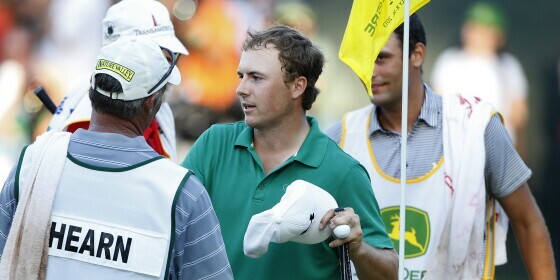 Jordan brought his old form to the new year and had no trouble winning the Hyundai Tournament of Champions on Sunday. 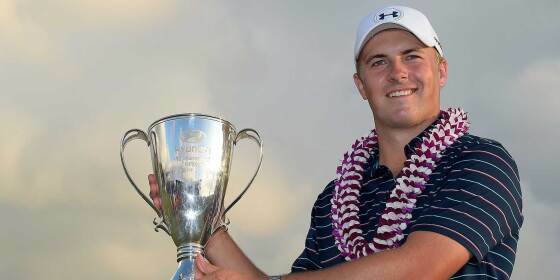 Staked to a five-shot lead, Spieth made two straight birdies around the turn at Kapalua to restore his margin, and he spent the rest of the afternoon soaking up the views of surf and sun on Maui. A magical season for Jordan ended Sunday with the 22-year-old Texan claiming the biggest prize on the PGA TOUR. 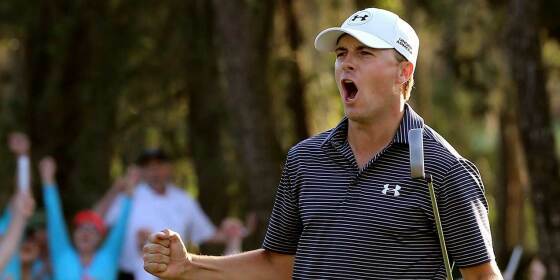 Spieth shot a 1-under 69 to finish at 9 under and win the TOUR Championship by Coca-Cola by four strokes. In the process, he also clinched the FedExCup and its $10 million bonus. Jordan Spieth beats Tom Gillis on the second hole of a playoff to win at TPC Deere Run for his fourth victory of the season. 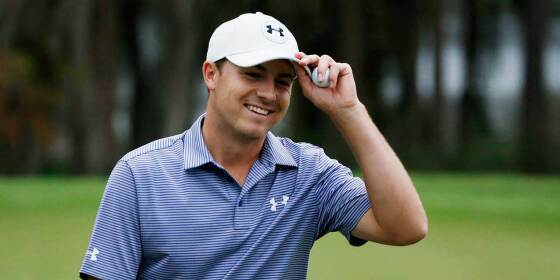 "To be able to shoot 20-under in three rounds is nice momentum," Spieth said. "The finish, when I really didn't feel like tee to green I had much (Sunday), gives me a lot of momentum to draw on if I don't have my best stuff." The 21-year-old Texan shot a 1-under 69 to win by one stroke over Dustin Johnson and Louis Oosthuizen in an intense—and insane—final round at Chambers Bay. Jordan become the youngest U.S. Open champion since Bobby Jones in 1923. Jordan Spieth got more than redemption and a green jacket Sunday. He took his place among the best in the game with a Masters Tournament victory for the ages. "He has no weaknesses," Phil Mickelson said. "He doesn't overpower the golf course, but he plays the course strategically well. He plays all the shots properly. And he has that ability to focus and see things clear when the pressure is on and perform at his best when the pressure is on." Spieth capped off an afternoon of back-nine charges, clutch putts and unseemly par saves by making a 30-foot birdie putt on the third extra hole of a playoff at Innisbrook Resort's Copperhead Course to beat Ryder Cup teammates Patrick Reed and Sean O'Hair. Jordan's wins with a performance tournament host Tiger Woods could appreciate, blowing away an elite field at Isleworth and setting two tournament records in the process. 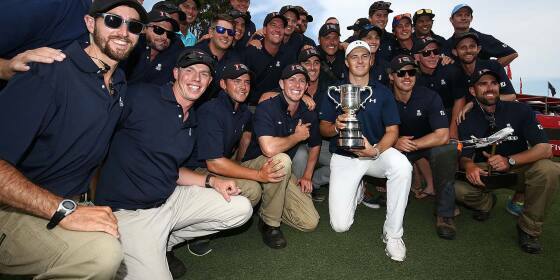 Spieth's 72-hole total of 13-under 271 on the tough, windy Australian Golf Club course made him the first American to win the Australian Open since Brad Faxon in 1993, when the 21-year-old Spieth was four months old. 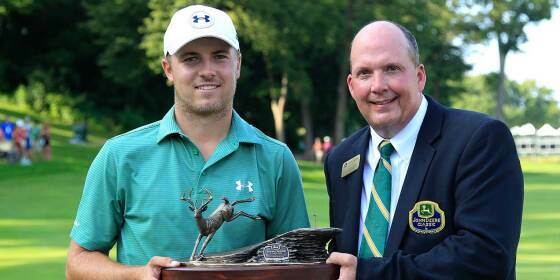 Jordan Spieth is the 2013 John Deere Classic champion, beating out Zach Johnson and David Hearn in an epic five-hole playoff. It's his first championship on the PGA Tour, and at 19 years old, he's the youngest PGA winner since 1931.